Customs officers have seized more than 9,000 fake Nike sneakers shipped from China at the port of New York/Newark. If authentic, the sneakers would have a manufacturer’s suggested retail price (MSRP) of $1.7m, said US Customs and Border Protection (CBP) in a press release. Officers inspected the shipment in late September after it arrived from Dongguan City, China, with a shipping address in Chino California. 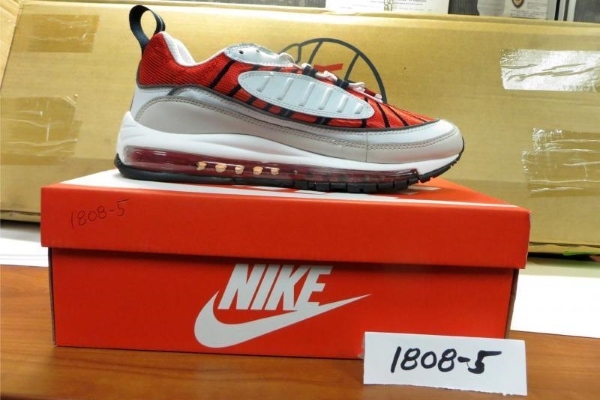 Suspecting trademark infringement, officers submitted digital images of the sneakers to CBP’s Apparel Footwear and Textiles Center for Excellence and Expertise (CEE), which then worked with the trademark holders and determined the sneakers were fake. It’s the second major seizure of Nike products by a federal agency in under four months. In September, Immigration and Customs Enforcement (ICE) officers busted a New York ring manufacturing counterfeit Nike Air Jordans, making five arrests among a group estimated to have sold $70m-worth of fakes to US consumers. Also, earlier this year CBP officers intercepted nearly $55,000 worth of counterfeit pairs of Air Jordan sneakers which arrived in seven shipments from China near Washington Dulles International Airport. Footwear accounted for 12 per cent of CBP seizures last year, the same proportion as was seized in 2016. Apparel and accessories topped the list at 15 per cent of seizures in 2017, down from 20 per cent in 2016, with footwear ranking among the top three for most-seized counterfeit products.